Skincare is becoming a Big Thing in the media. More and more people seem to be ‘skincare first, makeup second’ and I know I’ve definitely started to subscribe to that philosophy. My skincare routine is expansive and expensive, but there is the argument to be made that I’ve ‘gone overboard’. But I like it. It’s becoming more and more a routine of self care more than something I need to do, and I love experimenting with new products and new methods. However. There are four steps that I would NEVER skip out on. 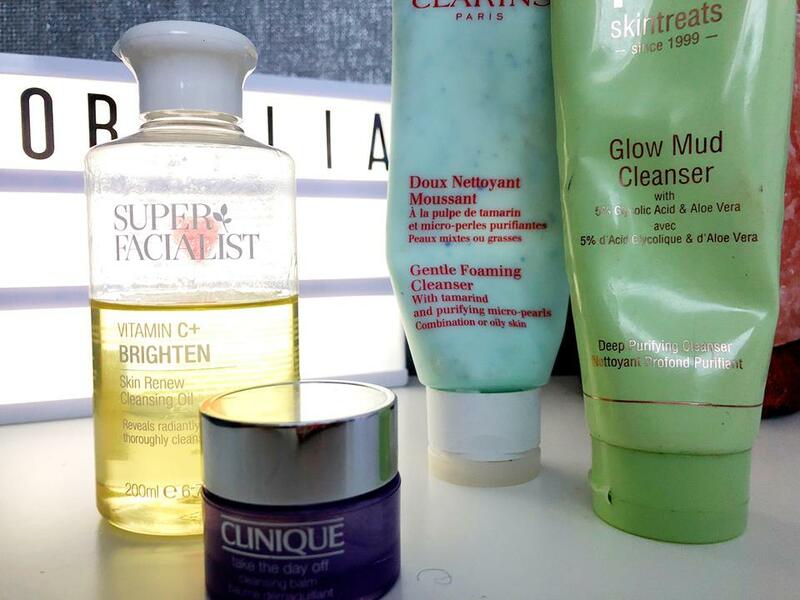 These are the steps (and I conferred with some fellow skincare freaks over on Caroline Hirons’ Skincare Freaks FaceBook group - so it’s not just me) that make the most difference to my skin, and that I really feel the difference with if I skip them. Four relatively easy steps that should take no longer than five minutes morning and night to finish, and that will have you seeing results within a few short weeks. Sound tantalising? Let's find out what they are! Hydrating cleansers like the Cerave Hydrating Cleanser work well as a morning cleanse and a second evening cleanse (we’ll get onto that in a second) for pretty much all skin types. Hydrating, non stripping, and does a good job. I’m also a fan of Clarins cleansers - pick the one most suitable for your skin type, I use the Clarins gentle foaming cleanser with tamarind - but they are slightly on the pricier side. Ideally when looking for a cleanser for a morning/evening cleanse, I would go for something gel textured and non foaming if you have combination/oily skin, and something a bit creamier and more nourishing if you have drier skin. A good example would be the PIXI Rose Cream cleanser. In terms of things to avoid, don’t use foaming cleansers - they often end up stripping the skin and making matters worse - and try to avoid products with SLS (sodium laureth sulfate) or alcohol high up on the INCI list. They aren’t going to do your skin much good. In that vein, I would avoid the ever popular Cetaphil cleansers with a barge pole. If you want more information on that, read the lovely Caroline Hirons’ blog post on it here. And finally, double cleansing. The most important evening step for anyone who wears makeup/SPF/has spent all day running through town and the lovely, lovely air pollution. First cleanse: gets the crap off, removes makeup. Second cleanse: cleans skin thoroughly, makes sure everything is removed. Both as vital as each other. Do not skip. Double cleansing is also WAY better for your skin than just removing makeup with a makeup wipe. Don’t do that. You can use a micellar water for your first cleanse, but go in with a proper cleanser afterwards and get some water around your face. Good first cleanses include cleansing oils like the Superfacialist Vitamin C cleansing oil or The Body Shop Chamomile Cleansing Oil, balms like Clinique Take The Day Off cleansing balm and The Body Shop Chamomile Cleansing Butter, or a thicker cream/milk like The Body Shop Vitamin E cleansing cream or L’Oreal Fine Flowers cleansing cream. Anything that destroys makeup goes in this step. Get it off with a flannel for extra exfoliation. Second cleanse can again be something lighter, something gel textured, the same product you used in the morning if you don’t want to have more than one. It doesn’t matter. This should contain more nourishing skin ingredients though, to really cleanse and look after your skin. Now this is sort of a cheat step in that you don’t need to do it every day. A lot of people can’t acid tone daily (I do, but my skin is reasonably tough), and so find twice or three times a week to be the best way forward. But. Nevertheless, it is an important step, and the acid toning stage is really where you shock your skin into action and start adding in actives that will do the donkey work. To find out more about the different acids on offer, you can take a gander at my post here where I outlined the different types of acids - AHA, BHA, PHA - and explained what they did, along with offering up good examples. In a nutshell - if congestion and breakouts are your issue, BHA is what you want. Good examples include Paula’s Choice 2% Salicylic Acid, or Clinique’s 1.0 Clarifying Lotion. If texture and dullness and general meh is more you, go for an AHA or PHA. A lot of people swear by PIXI glow tonic, but others don’t get on with glycolic. Personally, I have an ongoing love affair with REN’s Ready Steady Glow AHA tonic (containing lactic acid), and would highly recommend. Full review to follow eventually. This stage is where you can really treat different skin issues that you might have and tackle things like sebum products or hydration. Essential step, probably where you should really be spending the most money. Formula is king here, and good formulas with good blends of ingredients don’t always come cheaply. However, you also really don’t have to spend out a fortune. 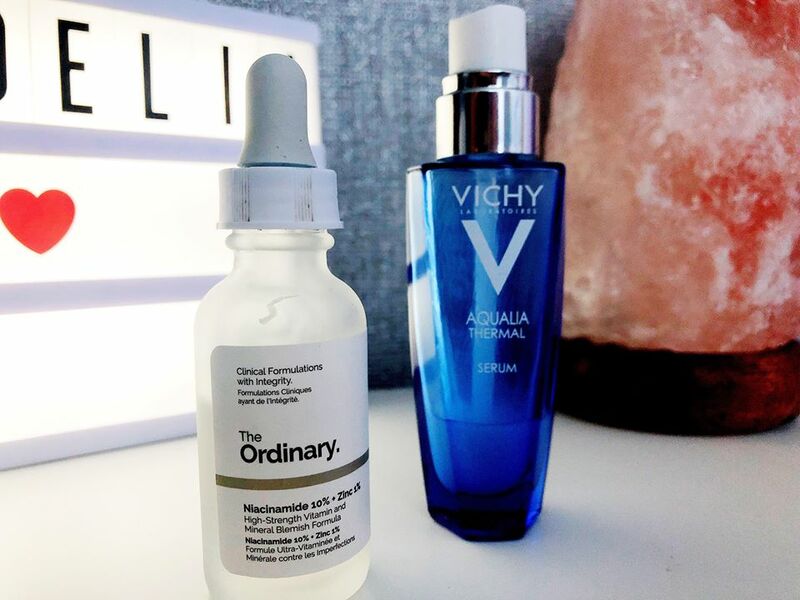 For hydration, I really love the Vichy Aqualia Thermal serum which comes in a gorgeous blue glass bottle and does an excellent job at plumping and rehydrating the skin - which nearly everybody needs. Oily, dry, combination - your skin will still need hydration. I personally am also a huge fan of niacinamide, and seek out products with this ingredient in. It does wonders for sebum regulation and controlling breakouts, and I wouldn’t be without it now. I’m currently using up a bottle of The Ordinary’s 10% Niacinamide and 1% Zinc, and it’s lovely but I have my eye on the Garden of Wisdom Niacinamide for when I need to stock up. Highly, highly recommend. Of course, the treatments and serums you use at this stage are entirely personal, and it doesn’t matter how many you have or don’t have. As long as the product works for you, you’re golden. If you really don’t know what your skin needs, I highly recommend looking into products that contain hydrating ingredients and/or hyaluronic acid. You really can’t go wrong, and it’ll help anyone’s skin look better. 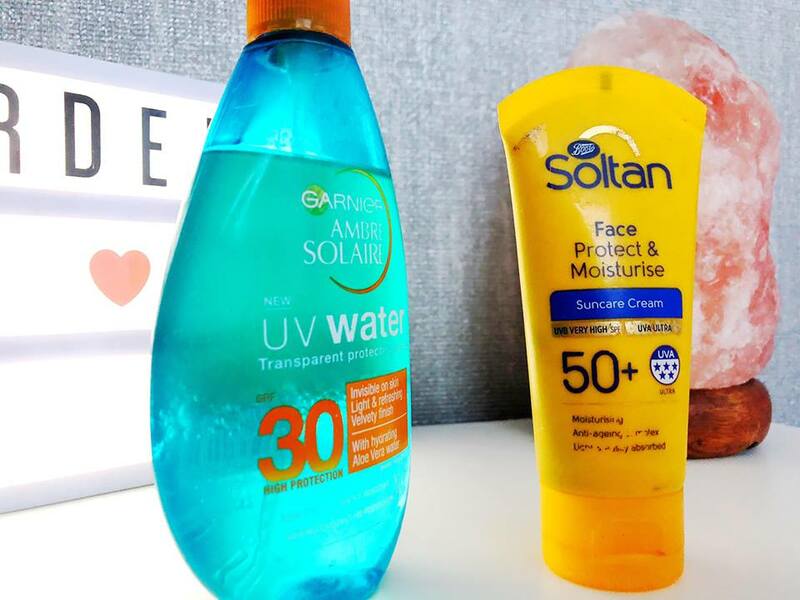 Superdrug and Boots both stock fairly inexpensive hydrating products within their own lines and the lines they carry in store, and more expensive brands will have more targeted formulas should you have other issues. The coat of the skincare world. Seals all the product you used in, locks in all the goodness, protects slightly from the outside world. A delicious all rounder. And the good news is you don’t need to spend a fortune on a good moisturiser. As long as it is suitable for your skin type - nothing too rich on younger and oilier skins, something more decadent for those over a certain age - you’re good to go. My personal favourites are a little more on the expensive side because I’m a walking contradiction. 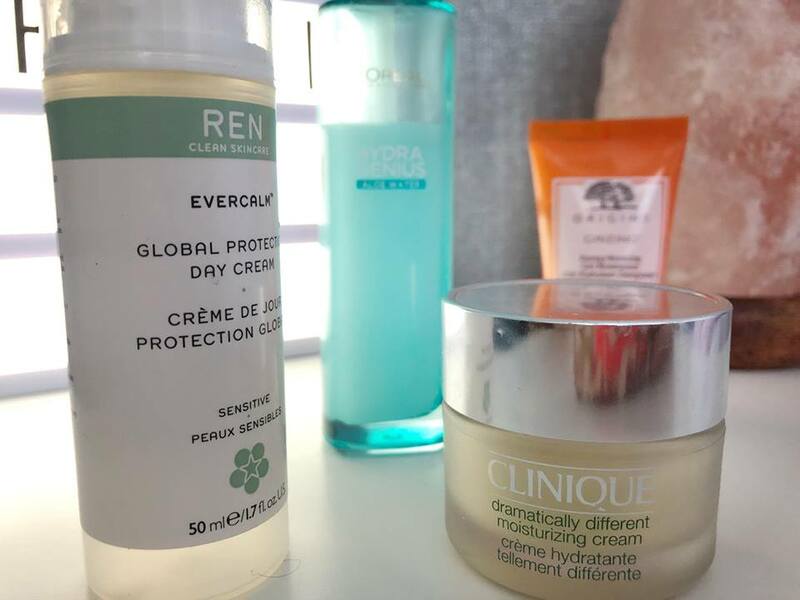 I love the Origins Ginzing moisturiser, and the REN Evercalm Global Daily Protection, and I’m also a huge fan of Clinique’s Moisture Surge for when I feel slightly more dehydrated. But honestly, moisturisers from brands like Cerave and Neutrogena are just as good. Slather it on your face, wait for it to sink in, golden. Use a moisturiser with SPF for added protection (although to be on the safest side you really should always be using a dedicated separate SPF - something like La Roche Posay’s Anthelios or any other good facial SPF that is at least factor 30. Hell, go mad and use your body SPF on your face if you’re so inclined, I quite like the new Ambre Solaire UV Water. Oooh yes, I was naughty and did slip in an extra step). And so you have it. A simple four step routine that covers pretty much all the bases and should keep your skin plump, clean, smooth, and glowing. Who knows, you might even end up like me and grow to hate wearing foundation because for some insane reason it makes your skin look worse when it looks pretty incredible bare. And no, I’m not blowing water up my own trumpet. A couple weeks after I really started focusing on my skincare a friend at worked asked me what I was doing to look so healthy. You too can exist on a diet of nothing but chicken nuggets and crisps and still look like you go jogging every morning. Success! Right, now I must shut up. What do you think of skincare? Essential part of your day or boring chore?